My first impression when we arrived at the Glass restaurant was a bit confused. 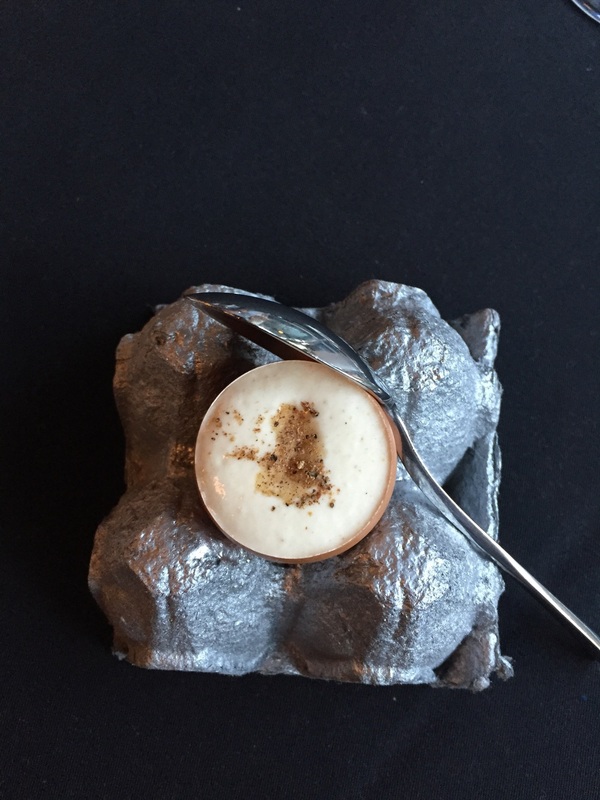 A World class restaurant in an appartment building in a crossroad? But the evening did teach me not to hear to my first impression. The young restaurant manager expected us already and seated us next to the window. While she was bringing us a bottle of sparkling water we considered the designed room. A black painted wall and ceiling were combined with white flowers which were hanging down. A big and beautiful chandelier and some round ceiling lamps give the restaurant a warm and welcoming atmosphere. As we were busy with observing everything the waitress braught us an IPad with the wine list - so cool and fashionable - and two envelopes. We were a bit overwhelmed by all the new trends but the very competent service team did explain everything with passion for detail. So we opened the envelopes and were impressed by the varied menu! As an aperitive we got a "Ratzenberger Riesling" a german sparkling wine, which is comprable to a champagne. We were ready for something new and thats what you have to be in this restaurant. 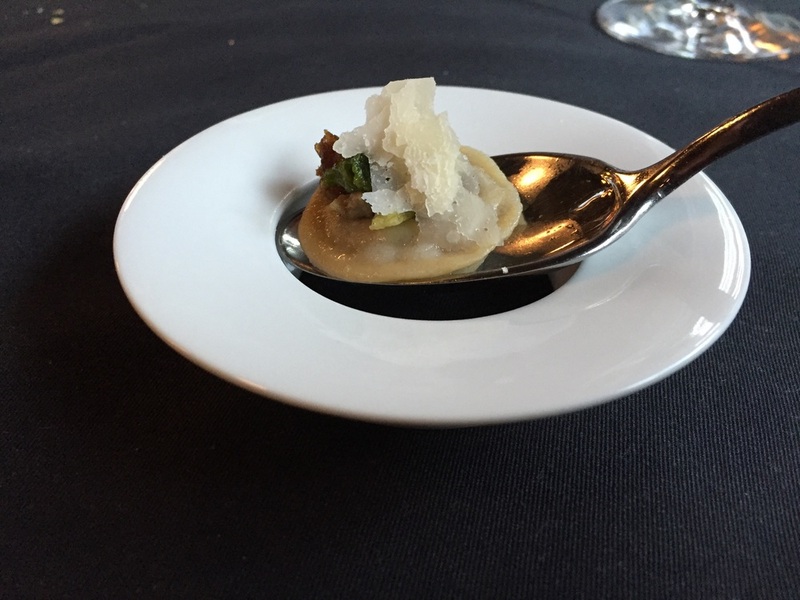 We were surprised by three amuse-bouches. First a sushi with marinated watermelon and an egg but completly new created - espuma from the egg whire smooth yolk and small apple peaces, third was an explosive ravioli filled with soup and topped with mushrooms and parmesan. 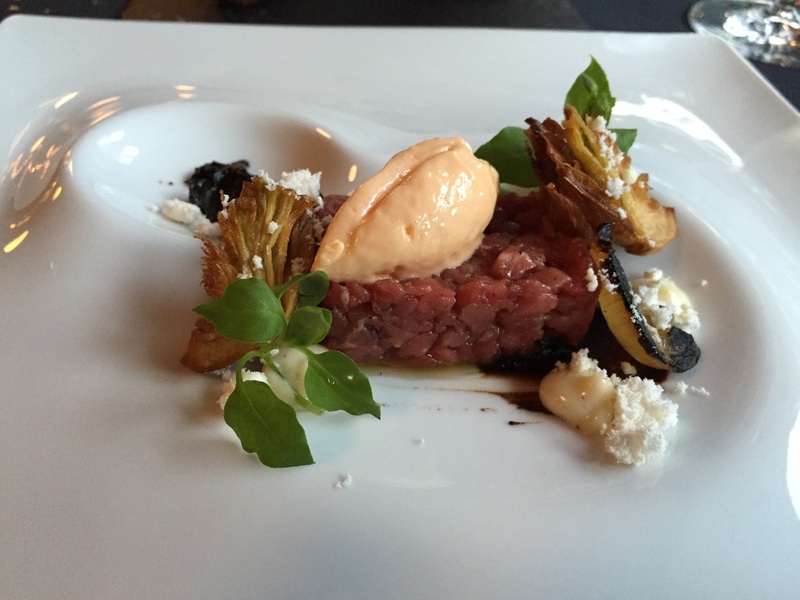 The starter was a beef tartar served on black garlic and artichokes. 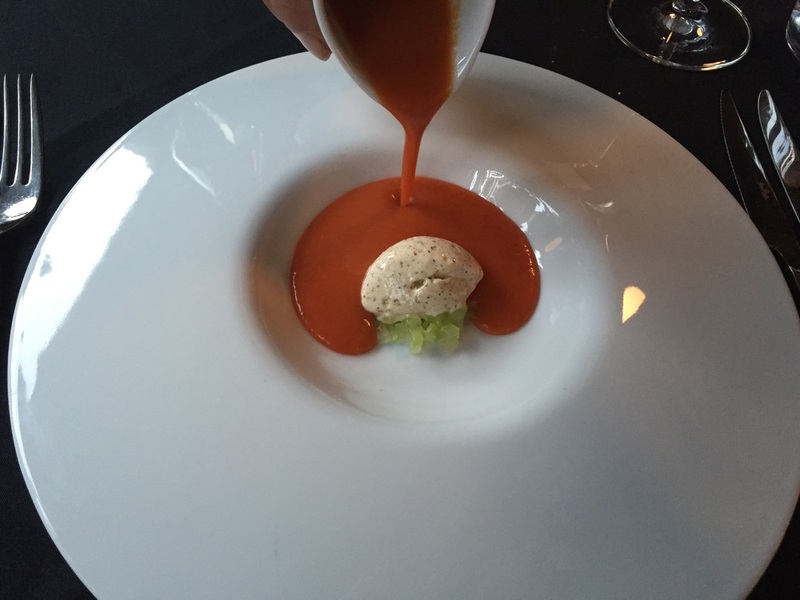 Second course was a gazpacho with mustard ice cream - both a bit to spicy for us. I was enabled to try the "forest in a Glass" a optical and flavourful bomb for my palatal. Fresh mushrooms and herbs. 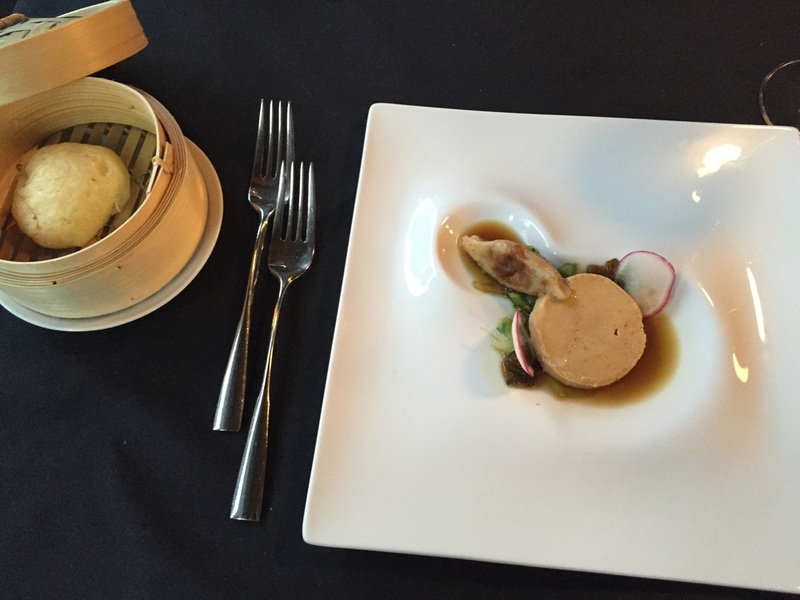 My colleague tried the foie gras japnese style served with a duck ravioli. The Scallops were heavenly and a real treat. A horseradish sorbet on greapfruit should inspire the taste. 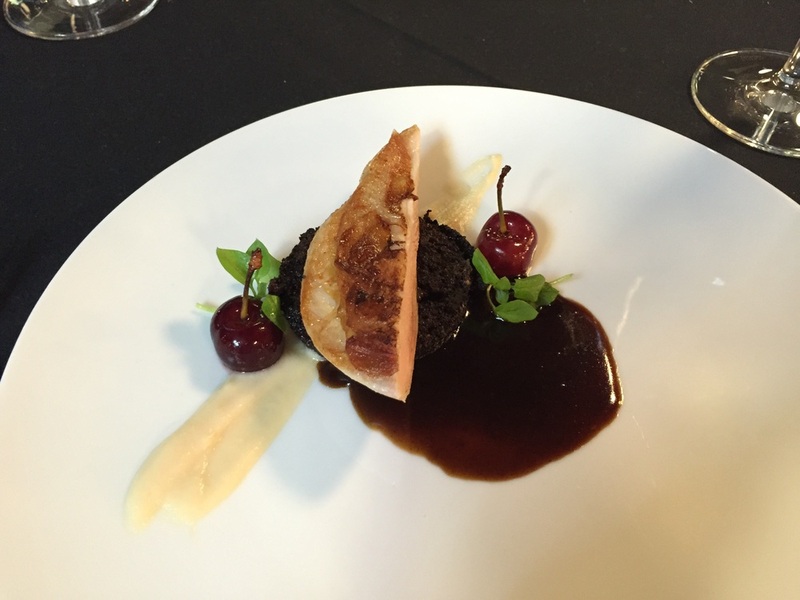 A "poulet de brasse" built the highlight and was served with cherries and perigourdine. As desert we got a variation of chocolate with mango and a cheescake ich cream with a wild strawberrie sauce! The evening was accompanied by wonderful wines served in a special way - with a coravin machine. A special gadget which starb a thin needle through the cork and pumps the wine out with a special gas. This process should protect the wine from the air - to prevent the wine from oxidation. The deserts were attendes with a "Kabinett" from Joh. Jos. Prüm a very famous german vintner and a traditional italian desert wine called "vino cotto" - which is normally just served at italian marriages. A small choice of homemade petit-fours made the evening perfect! We were guests of the Restaurant Glass. However all our above written Expresses our own opinion.